In the previous newsletter article we discussed the three kinds of machine gun purchaser/owners, and what motivates them. Once you know which category of buyer that you are in, this will help you focus on the type of gun that is right for you. In this article we will address what might be a good “first” machine gun for the shooting enthusiast. The assumption is that the would-be owner’s important considerations are to have a gun that is reliable, relatively straightforward and easy to maintain, with spare parts available, and takes readily obtainable ammunition. This also assumes that, like most of us, you have a limited budget, and have had little or no opportunity to shoot a variety of machine guns. Perhaps you have never shot a machine gun at all, or have shot one incidental to military service, but not privately. Generally, your “first” machine gun, or at least one of your first, should fire pistol-type ammunition. Some good choices to consider would include .22 LR, .30 Carbine, 9 mm, or .45 ACP. All these calibers are readily available and are not prohibitively expensive. An “assault rifle” intermediate cartridge caliber like the U. S. .223 (aka 5.56 mm) is also an excellent choice. A relatively slow firing machine gun is generally the best option for a beginner. Also a gun which has a stock that allows the gun to be held against the shoulder when firing. This will allow for better controllability and comfort when firing. The Reising M50, for example, is a good entry level machine gun. The Reising is a WW II era machine gun which saw limited use, mostly in the Pacific theater, with subsequent police use as well. It fires .45 ACP slowly (450 rounds per minute) from a closed bolt, which makes for accuracy. It is a select fire gun (can be fired semi-auto as well as full-auto), has a nice wooden shoulder stock, and is heavy enough to make it be controllable. The Reising M50 also is easy to clean and spare parts can be found (although they seldom break), as well as spare magazines. They are also relatively less expensive than most other machine guns. Another gun worthy of consideration is the U.S. M2 Carbine. It shares many of the above characteristics with the Reising with a wooden shoulder stock, closed bolt firing and select fire, yet it is a bit lighter with a lighter cartridge (.30 Carbine). It saw late WWII through the Vietnam era military use with subsequent police use as well, and falls into the same price range. Both the Reising and M2 Carbine have folding metal stock versions as well. Any of the Military Armament Corporation MAC 11’s, or MAC 10’s in 9 MM, or .45 ACP, are also relatively inexpensive machine guns which have widespread appeal, due to their fast-firing, compact design, and reliability. These guns fire from an open bolt, have short barrels, and consequently accuracy at anything other than short range is a challenge for anyone other than an extremely accomplished shooter. These guns recently have enjoyed a rise in popularity due to the excellent attachments being marketed for them, not the least of which are sound suppressors. If you are ready to spend a little more, then consider stepping up to the Ruger AC-556 machine gun. It takes the common and popular 5.56 mm (.223) cartridge; is select-fire, and comes in both fixed and folding stock versions, as well as both blued and stainless steel. There are also .22 LR caliber conversion kits out there for this model. While I hope they are helpful, these recommendations are no substitute for the person who knows the make and model of gun they “really want”. If there is a particular gun which “speaks to you”, then by all means, seek it out. There are many other very suitable entry level machine guns. A personal favorite of mine is the iconic classic German WWII MP-40 machine gun. Featured in countless films, it is compact, simple, reliable, relatively slow-firing, and 9 MM. Although it fires from an open-bolt and is full-auto only, due to its slow rate-of-fire (and with some practice) the shooter can manipulate the trigger so it shoots like a semi-auto with corresponding increase in accuracy. This model generally costs more than other entry level guns. One important factor to consider before you go too far down the road of selecting your first machine gun is making sure you know the laws about machine guns in your state of residence. California, Delaware, Hawaii, Illinois, Iowa, New York, New Jersey, Rhode Island, and Washington state generally do not allow private citizens to acquire/own machine guns, except in some cases with very few, and very specific exceptions. Massachusetts requires a state issued license, and Connecticut allows only “full-auto only” machine guns. Please note that the laws surrounding the registration status and transfer of machine guns are complex. It is YOUR responsibility to know your own state and local laws. 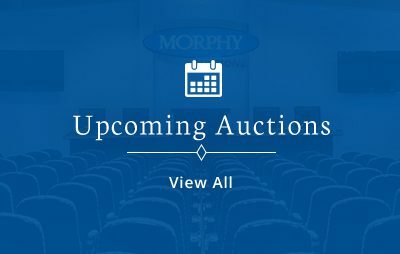 The experts at Morphy Auctions will provide potential buyers who ask with information about the purchase and transfer process, but ultimately the buyer must know their own local restrictions, if any. The experts here at Morphy Auctions are always happy to provide advice when it comes to choosing the gun that fits what you are looking for. If you missed Part 1 of this series of articles, please take a moment and read it. The next installment will address machine guns for the collector with historical priorities, and machine guns for the intermediate collector who is ready to, “Take it to the next level”.